Photographed on location in Antarctica by award-winning New Zealand photographer and filmmaker Anthony Powell and edited by well-known American author and fibre goddess, Edie Eckmann, this is a self-published book created by two friends, Lynn and Christine, who met in Antarctica and decided to fulfill a shared dream and write a book together. This book is the culmination of 5 years of effort and we think you'll agree, it has paid off beautifully. 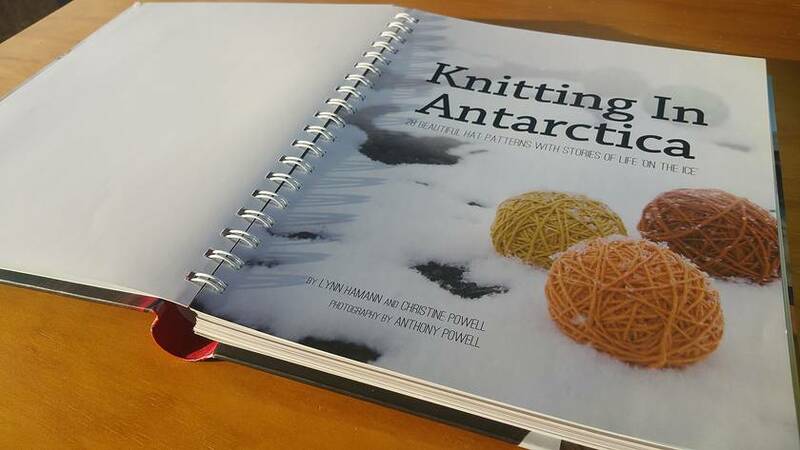 The authors have knit many of the patterns in this book for years and they are favorites among the residents of Scott Base and McMurdo Station. 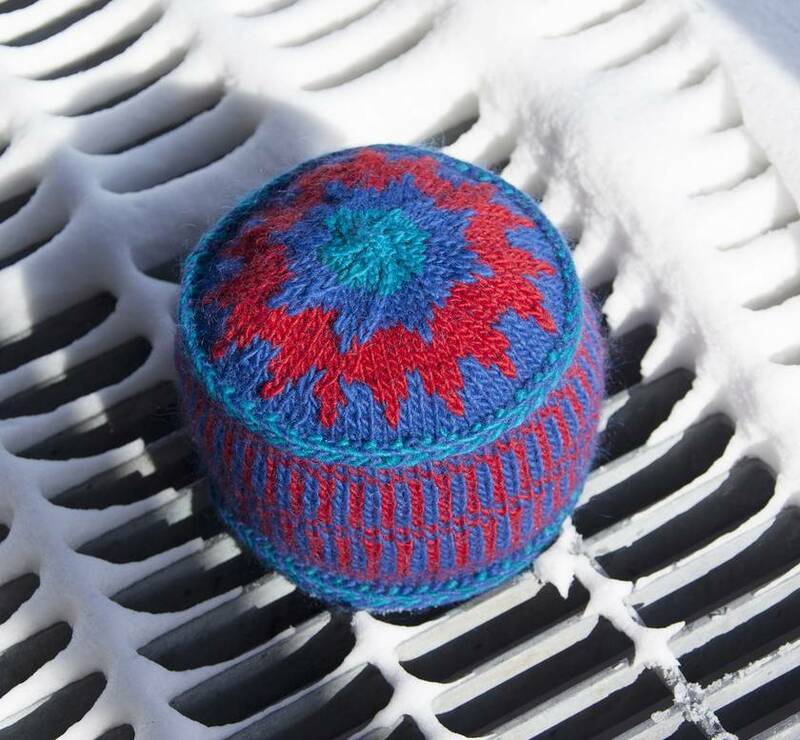 The authors have developed a unique style of knitting, as practical and functional as it is colorful and stylish. 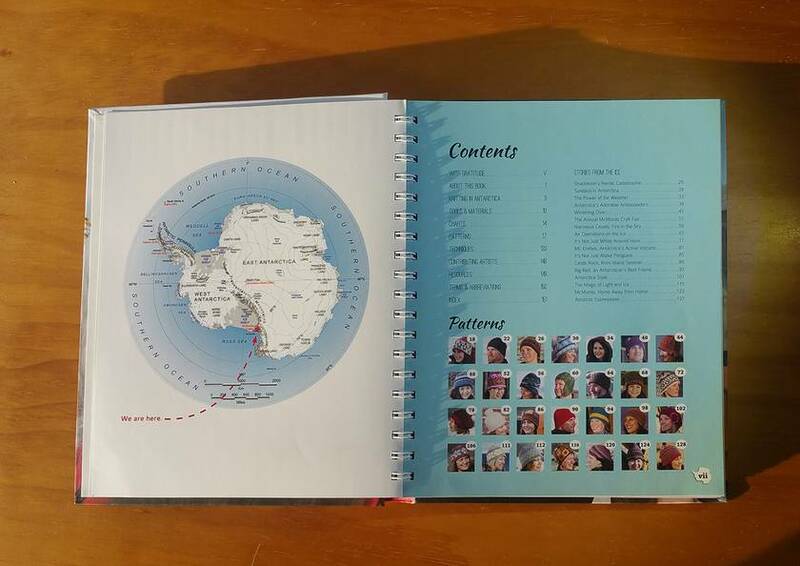 In fact, recently, Air New Zealand put out a new safety video and one of the hats worn in the video is the penguin hat on the cover of this book! The book is 160 pages, printed on high-quality paper, and spiral-bound for ease of use while you're knitting. This book makes a unique and thoughtful gift for any knitter in your family. Even those that don't knit will find themselves drawn into the pages. If you purchase our book, know that it is going towards the fulfillment of a dream of two creative women. We thank you from the bottom of our wooly hearts! Contact aqknitters to enquire about payment or shipping options. 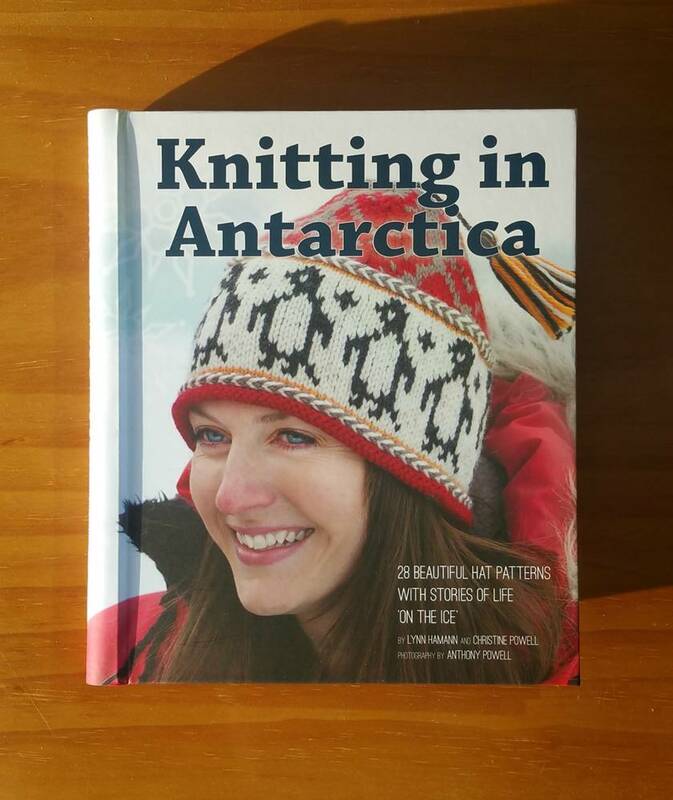 Grab some yarn, go to Antarctica, write a book!